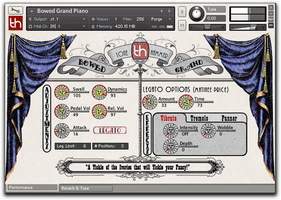 Bowed Grand Piano, Virtual Acoustic Piano from Tonehammer. The launch of the Montclarion Hall Piano gives us the opportunity to present to you the full range of Tonehammer pianos, characterized by the same original approach of all the other instruments by the manufacturer. In spite of being out of tune, the instrument is appealing. 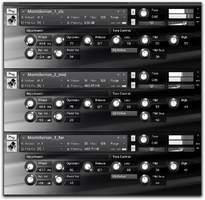 The manufacturer provides several presets, available in Untuned and Tuned versions. The piano is available in soft and bright versions. It includes a tone setting controlled by the wheel. 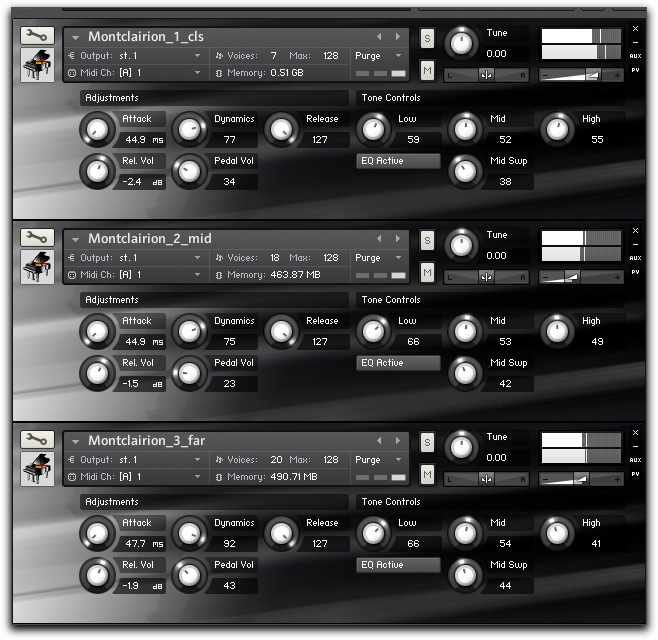 You also get several programs with different impulses like tunnel, studio, stairwell, alley, garage, and subway, as well as Kotankt's convolution reverb. You can change the settings using the edit functions. 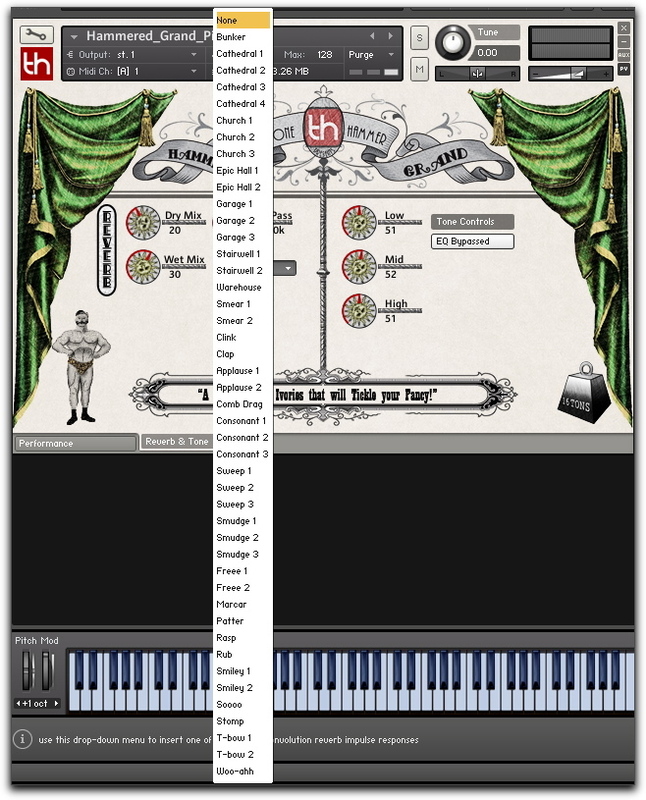 Since the impulses are provided in a separate folder, you can also use them with other Kontakt instruments — a very nice detail. 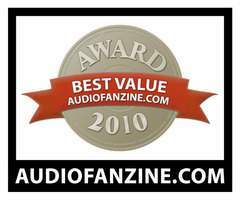 You'll also find three (sound design) presets whose aim isn't authenticity. If you do soundtracks, the different pianos are ideal to illustrate nostalgic scenes or childhood feelings. Well, here's something totally different. 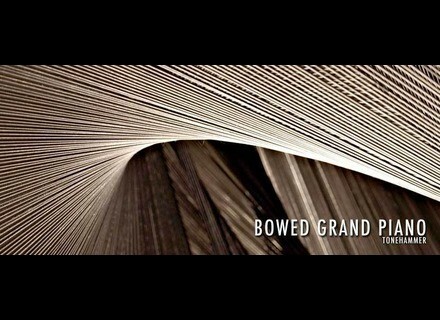 Bowed and Plucked are two libraries created from the piano used for Emotional (see below). The goal is to provide only one piano that you can play in three different ways, instead of two or three separate instruments: traditional (Emotional), plucked strings (Plucked) or bowed strings (Bowed). Without being truly innovative, this concept is interesting and guarantees sound consistency that can be valuable in some cases. Below you can hear the basic piano, knowing that we have three basic programs available (Bowed Grand Piano, Staccato and Short Release). The manufacturer also offers 24 Drone programs (excellent idea since the sound material is perfect for such things) and nine FXs including several glissandi, loops, pickings, etc. Below you can hear a Plucked Grand accompaniment while the Dulcimer plays the lead melody; and then the same but with the Hammered Grand. I didn't do it for this sample but, the best thing you can do is assign a MIDI controller to the repetition number and vary it depending on the part you play. The Reverb & Tone section provides a three-band EQ with bypass and Kontakt's convolution reverb fed with 45(!) impulses from classic spaces to sound design effects. The impulses provided have a very good quality and the special impulses are quite surprising. 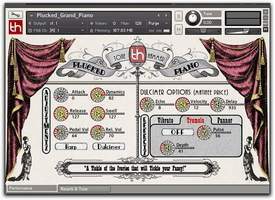 It's a pity that you cannot use them in another context, but this limitation is due to the locked Kontakt libraries format. Let's go on with Emotional. This piano, used as the foundation for the two pianos described above, is presented as an instrument for cinema and emotion. The manufacturer says its main qualities are its softness, roundness and full and warm sound. In the following sample, you'll hear the Master preset first, then the same preset with one of the Mystery impulses. What more can the manufacturer offer us beyond Emotional? The answer is: another approach. The Montclarion is a piano recorded in a chapel with very special acoustics. Actually, the acoustics were the main motivation behind the concept (this chapel had been previously used for other sound banks of the manufacturer). 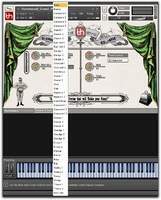 The piano was sampled with three different mic positions, which you can use in multiprograms. You'll hear the three mic positions separately and then grouped. 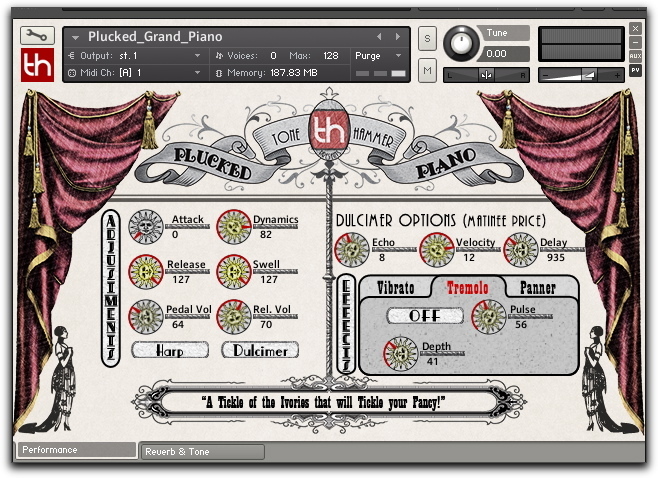 Tonehammer has a reputation for going off the beaten path with its sampling products by offering rare and home-made instruments or using special recording situations for ensembles (see the Epic series). However, it also succeeds in offering more classic choir and piano samples while keeping a special approach to them. Among the special products, the Bowed and Plucked libraries are very original and even though you can find similar libraries out there, none of them reaches this sound quality. Besides their excellent audio quality, both include numerous extra features like an arpeggiator, sound design programs, impulses, etc. Among the more traditional sounds, Emotional is a unique product because no other virtual piano currently provides this particular quality and roundness. This is one of my favorite pianos. Montclarion offers special acoustics with very interesting multimodes if you want to create particular ambiances. As for the cons, we noticed some slight phase problems, especially with Emotional and Montclarion. To solve the problem just narrow the stereo image a little bit (the changes are so slight that they won't alter the sound). Also notice that you'll need a powerful computer system with enough RAM and/or fast hard drives. You can consider this series as several single instruments, but also as a comprehensive bundle offering almost everything in terms of piano sound (perhaps missing only a prepared piano) with an impeccable quality (Montclarion at 24 bits, no audible loop points on releases except in FX or Drone programs, no tuning or layer problems, etc. ), which can complete (or not) the more "traditional" instruments other manufacturers have to offer. In any case, the full bundle costs only $389 — a very appealing price, considering its quality.